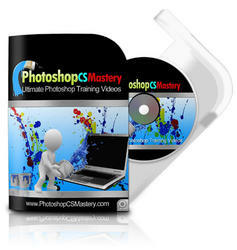 There are two basic ways to save your animations out of ImageReady: as QuickTime movies or as animated GIF files. Of course, it helps to know going into your project what kind of animation you're creating—the frames per second, pixel dimensions, color depth, etc. Exporting the animations requires testing and previewing to get the timing correct. 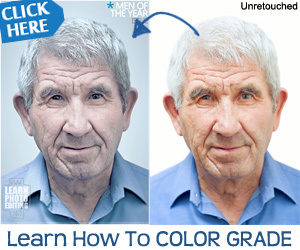 You can do this quickly by selecting the default web browser; although the color depth will be limited to an optimized 256-color palette, you will still be able to gain a sense of your final timing. To export an animated GIF, choose the Save Optimized As option and then select Images Only as the format, as shown in Figure 1.7. Make sure you set the color depth and dithering prior to exporting, which is how you adjust the size of the finished GIF file. Your exported file will look just as it did when you previewed it in the web browser. Exporting a QuickTime movie file is a bit different, however. The timing of each frame will be reflected in QuickTime Player as the repetition of certain frames to make up the frame rate. If you have only a few frames and want to stretch out the time, then it may be a good idea to increase the frame timing in the Animation palette first. 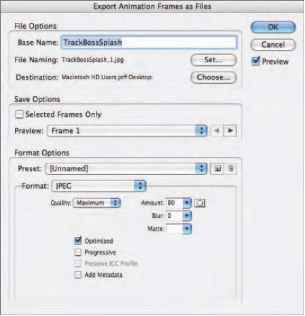 Note: Importing and exporting frames from QuickTime movies requires the inexpensive commercial product QuickTime Pro, not just the free QuickTime Player. To export the movie, select File Export Original Document to bring up the dialog box. 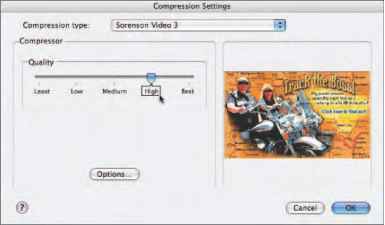 Select QuickTime Movie from the Format selector, name the file, click Save, and then set the Compression Settings from the pop-up dialog box (see Figure 1.8). Open the QuickTime movie file and play back the animation (see Figure 1.9). If you need to make adjustments in time or size, just go back into ImageReady and reexport when you have finished. From ImageReady, you can save frames as individual files in a sequence easily. How to export on desktop gif file image ready?